It was Mother’s Day a couple of weekends ago and as usual I stressed over making a card for my mum. 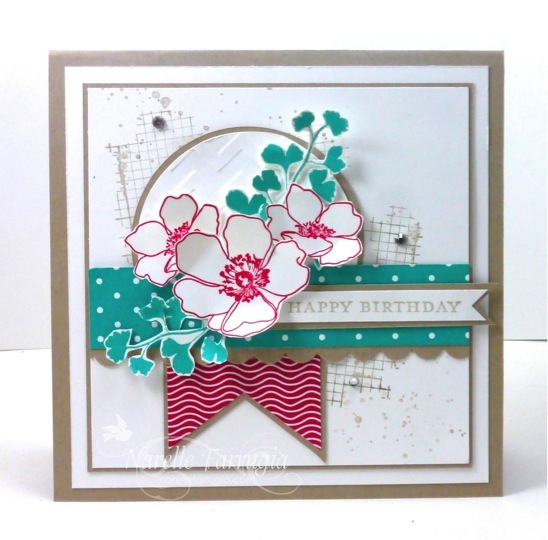 My mum loves Stampin’ Up! 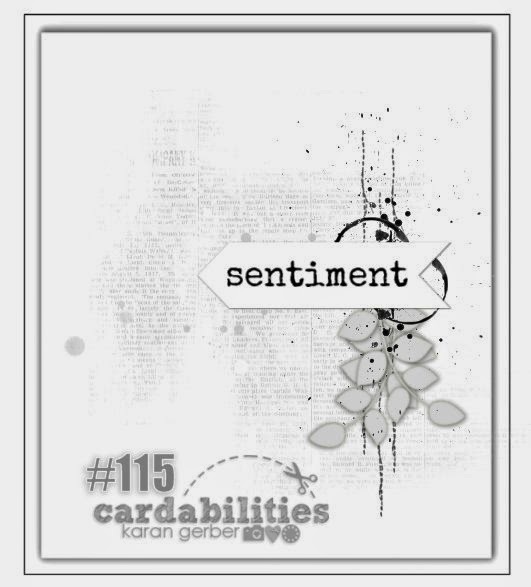 as much as I do and I know she’d be happy with anything I gave her, but I always spend a little more time when creating her cards – just so she can see I put that little bit of extra love into them. 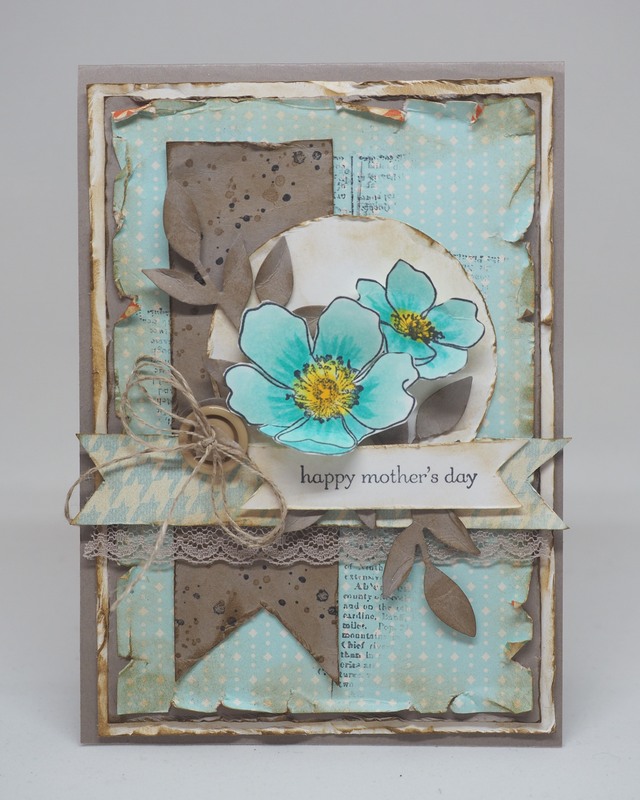 She loves my over-layered, tattered vintage-y cards, so this is what I made for her. You can’t get more worn than this mum! 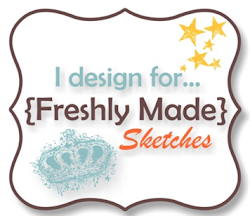 Can you believe it’s my turn to host our sketch at Freshly Made Sketches again? I always stress when it’s my turn. What if no-one likes the sketch? 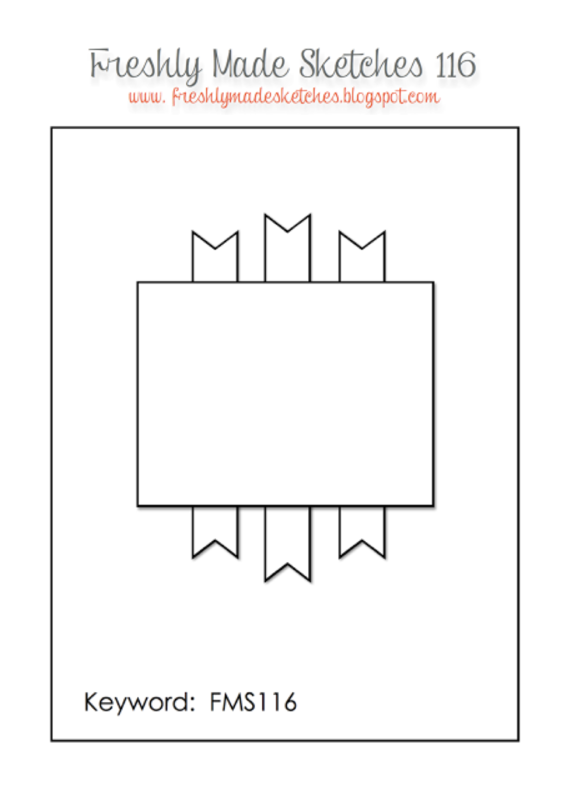 What if I can’t create a card I like for my own sketch? Those type of questions run through my mind. I probably overthink things too much…. 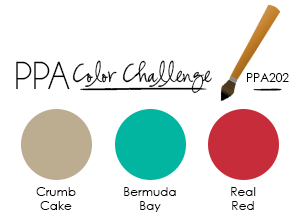 We would love for you to join us with this weeks challenge. 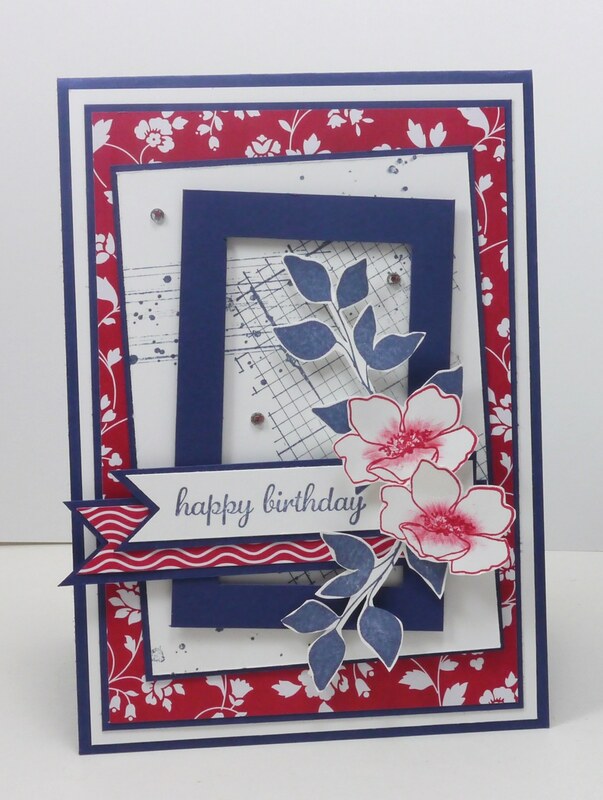 The design team have totally aced this sketch and have created a variety of fabulous cards. 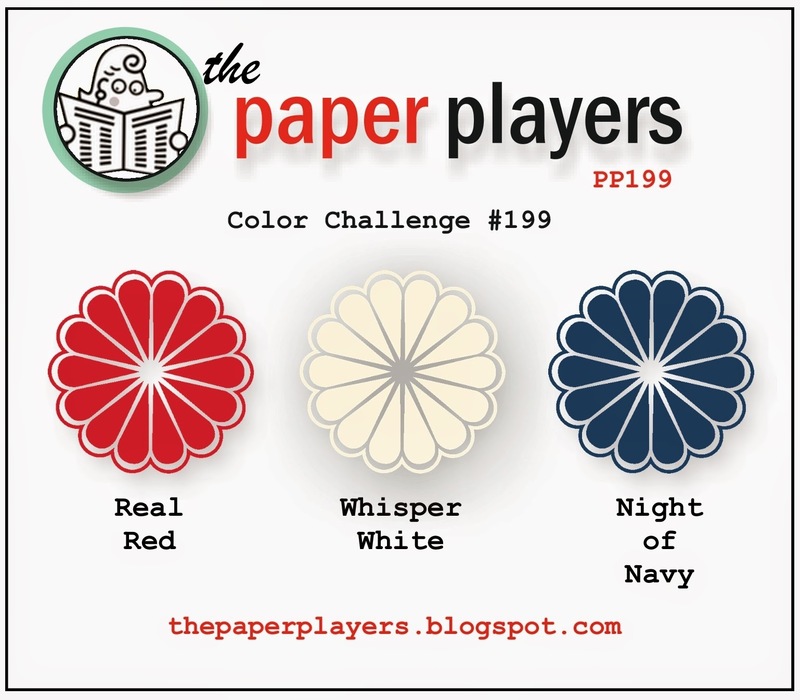 Head over to the challenge and take a look. I dragged myself away from watching the tennis to create a couple of cards today. 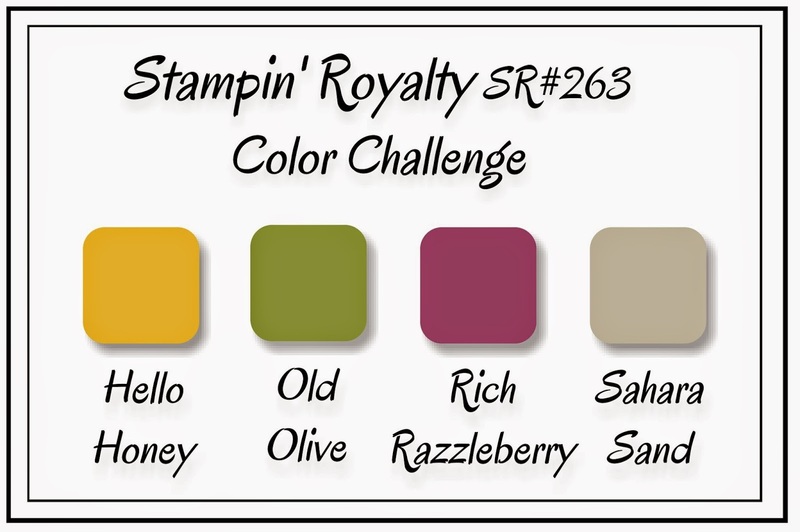 The first one is for two challenges – Stampin’ Royalty colour challenge and the Cardabilities sketch challenge. I had a bit more time than usual today to play around with techniques. I’m the first to say that I’m technique challenged as I really don’t get time watch videos or search the internet to find them. I wanted to create a kind of watercoloured background. 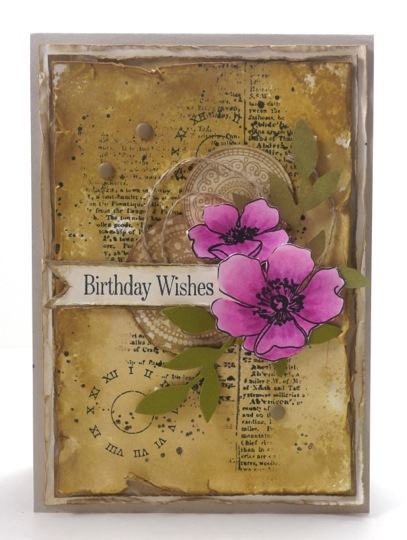 I started by taking Hello Honey & Sahara Sand Inks and randomly stamped the pads directly to a non-stick craft mat. 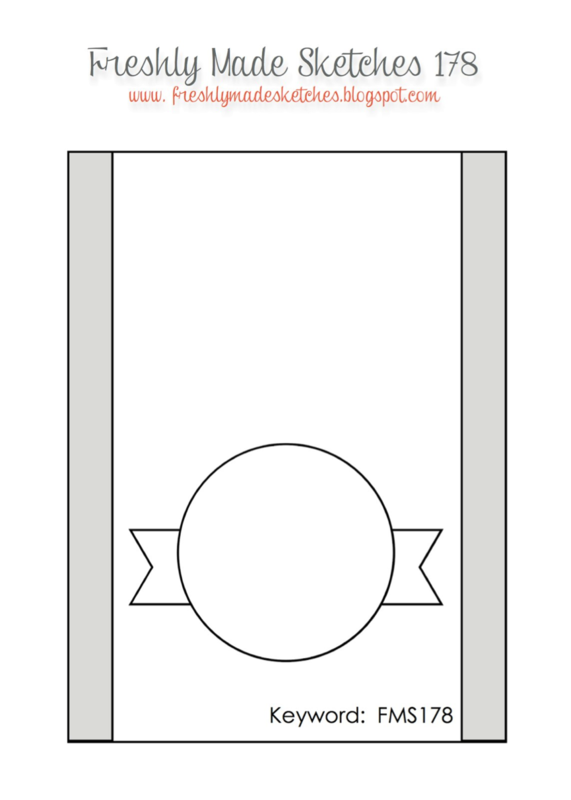 I then spritzed the ink with water and then placed my Whisper White card stock directly onto the ink. This is the effect I achieved after I dried it off with my heat tool. 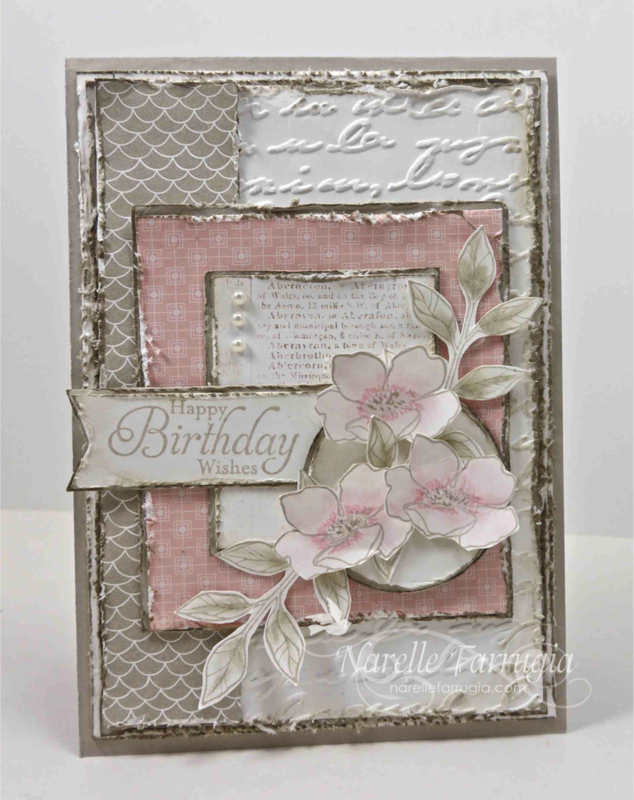 I inked up Stampin’ Up!s Dictionary and finger walked it so that it only stamped on certain bits of the background. I’m pretty happy with the effect! I’m back with my second card today. This time I’ve combined my card for Mojo Monday’s sketch challenge and Dynamic Duos colour challenge. Blushing Bride would have to be my most favourite Stampin’ Up! pinks ever, and when combined with Sahara Sand, it would have to be one of my favourite & prettiest colour combos. I’m almost at the end of any Blushing Bride DSP in my stash. I wish we could order single packs of DSP like we used to – Blushing Bride would have to be at the top of my wish list. We have a holiday tomorrow (gotta love a long weekend), so I’m hoping to be back with some more cards. Fingers crossed….. When I created this sketch I had Christmas in mind, but when I saw how many Christmas cards I had, I decided it would work for a birthday card too – you can never had too many birthday cards! I’m really loving Crisp Cantaloupe at the moment so I’ve teamed it with Coastal Cabana. 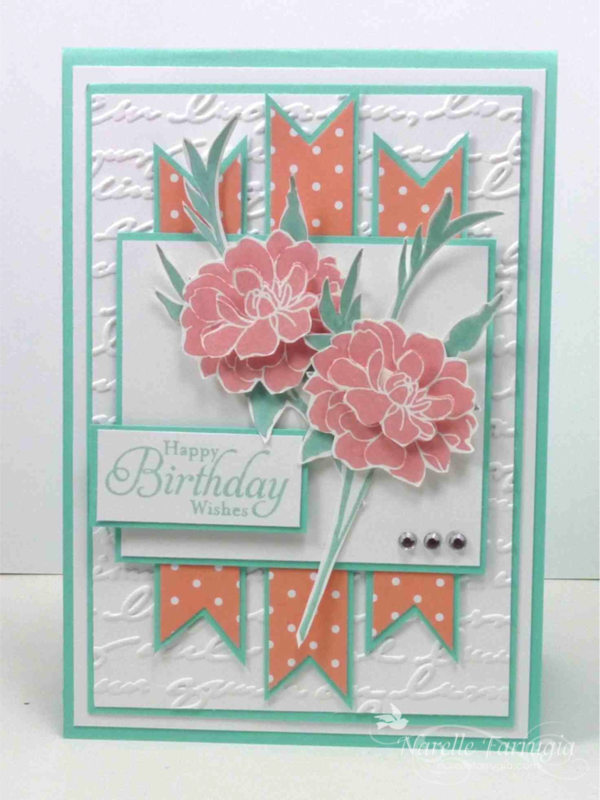 The flowers I’ve used are from a Stampin’ Up! 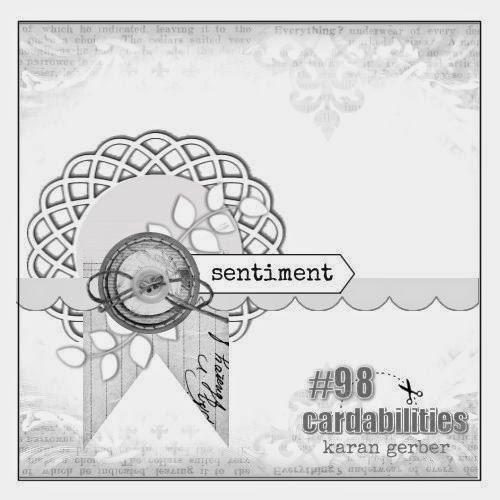 set called Fabulous Florets and the sentiment is from Simply Sketched. 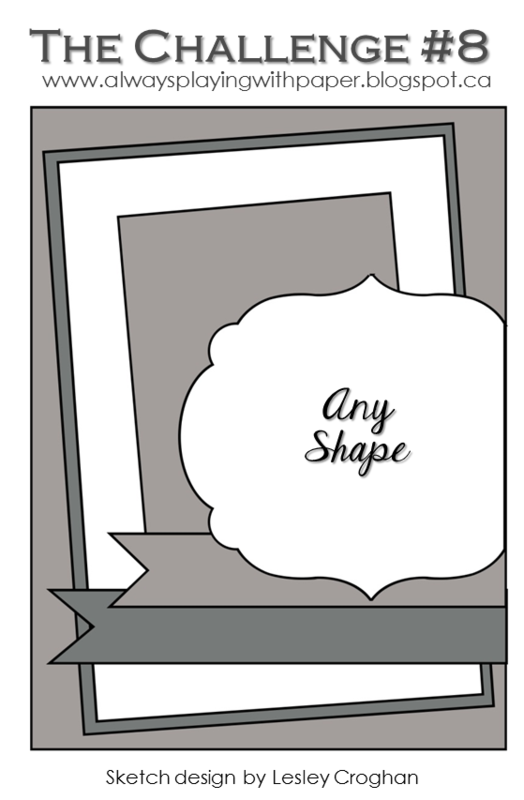 I can wait to see how you interpret my sketch so head over to Freshly Made Sketches and link up a card. While you’re there check out the lovely inspiration from the Clean Team.